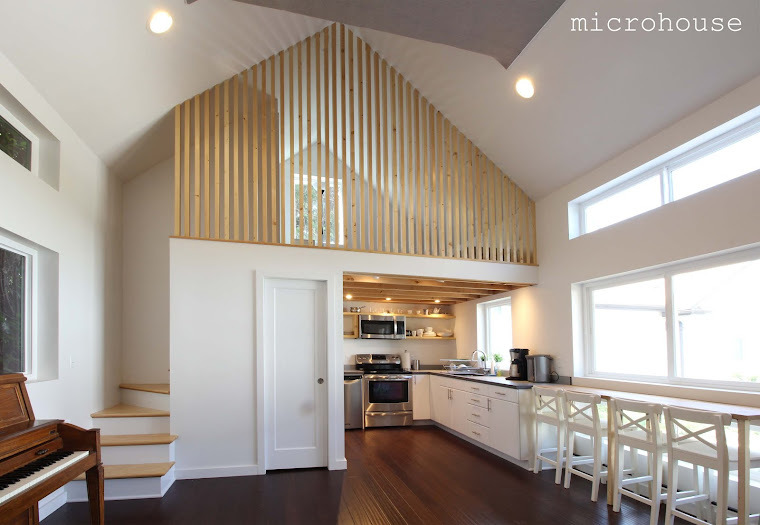 A backyard cottage can be used for many things, a home office, housing an aging family member, and as an investment strategy generating rental income. Backyard cottages have distinct advantages over most investment properties. Their construction may often be financed with an inexpensive equity line of credit and they don’t have land costs. As a result, rental cottages can reasonably be expected to generate a net rate of return more than double most rental properties. The real estate downturn and low interest rates may make the thought of purchasing an investment property appealing. Here in the Northwest we have a plethora of vibrant forward thinking industries and abundant natural resources and intellectual capital. Washington state is the only state in the U.S. that has a trade surplus with China and our position on the Pacific Rim will benefit from the migration of the global geopolitical center towards Asia. This all bodes well for long term regional growth. Perhaps because of this buying a two bedroom house in an in-city neighborhood still costs well over $300,000. With wage growth likely to remain flat for the foreseeable future, buying a house will remain out of reach for many. This will support the rental market. A hypothetical $300,000, 2 bedroom, 1 bath, house may rent for around $1,500/Month with tenants paying utilities. Factoring in taxes, vacancy and credit loss, but for the sake of simplicity ignoring depreciation and maintenance, we have a annual net income of approximately 5% of purchase price. A hypothetical 2 bedroom, 1 bath, backyard cottage would have comparable rental income but the cost of the cottage would be in the range of $100,000 - $125,000, yielding a return on investment greater than 10%. While construction costs are fairly consistent across a region rental rates vary greatly by neighborhood. For this reason backyard cottages in good neighborhoods can generate higher rates of return. A quick check on craigslist can help to get a handle on rental rates in your neighborhood. 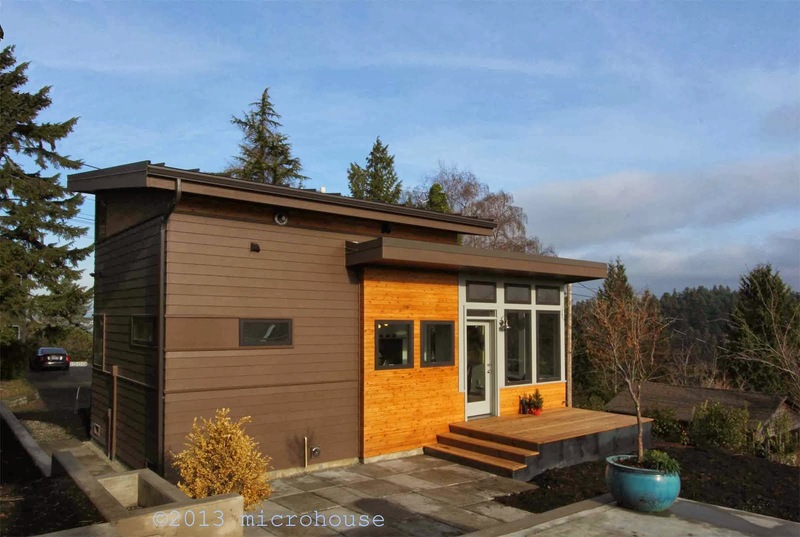 Microhouse can help put together a proposal regarding your project construction costs. We work with a tested team of engineers, surveyors, and contractors that can insure a smooth design and construction process. We can also recommend lenders to aid in financing your project. We are seeing people around us cutting back and slowing down. There is a growing trend to downsize and simplify lifestyles. Partially, this is the result of the new economy. The positive side of this trend is a renewed focus on family and friends, and time spent together. Backyard cottages have a role to play in the new economy allowing extended family to live closer together. Cottage housing also, with smaller interior spaces and an emphasis on shared community space will likely also continue to grow in popularity. A compilation of recent data shows further erosion in consumer demand for larger houses. Obviously there are a combination of factors that affect consumer sentiment. The economy and the real estate market being perhaps the biggest two. According to research by Trulia.com 9% of consumers now believe that their ideal home is 1,400-800 sq.ft.. Granted an equal percentage feel that their ideal home is over 3,200 sq.ft. and probably need 800 sq.ft. just to park their hummer, but it is a significant change. For more detailed breakdown see the attached link.